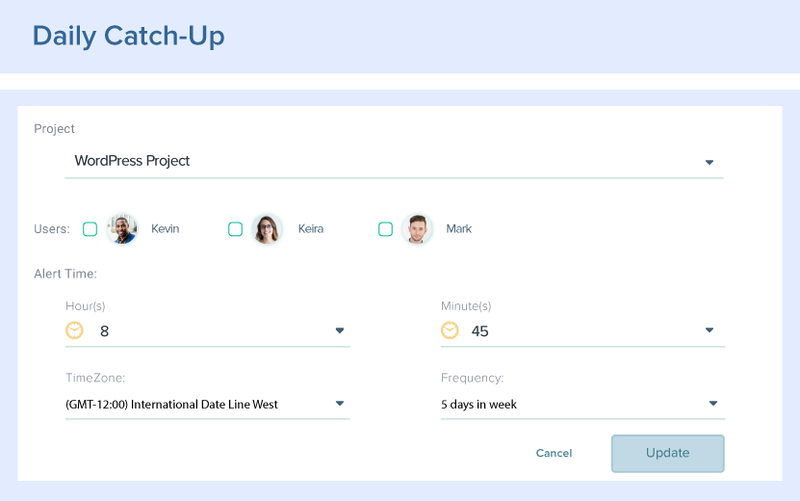 Track your team and their tasks without the need of any physical follow-up. Stop chasing behind your team members every now and then. 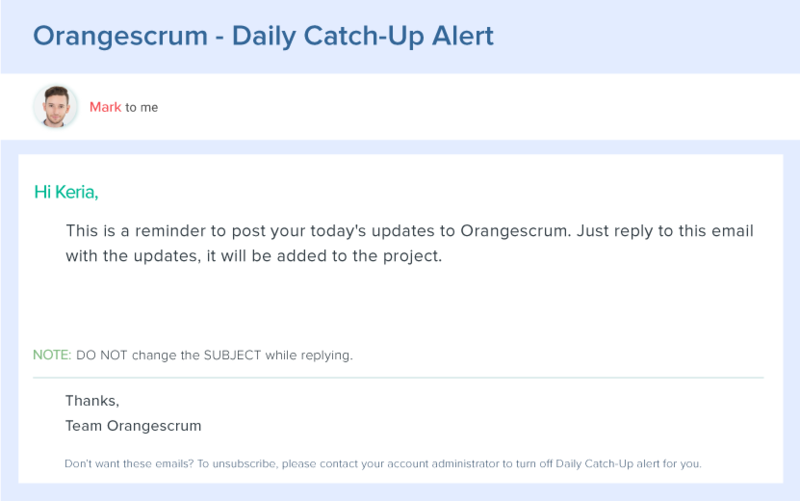 Set automated update reminder sequence and get progress updates from all your team members at the same time, in a single email delivered to your inbox. 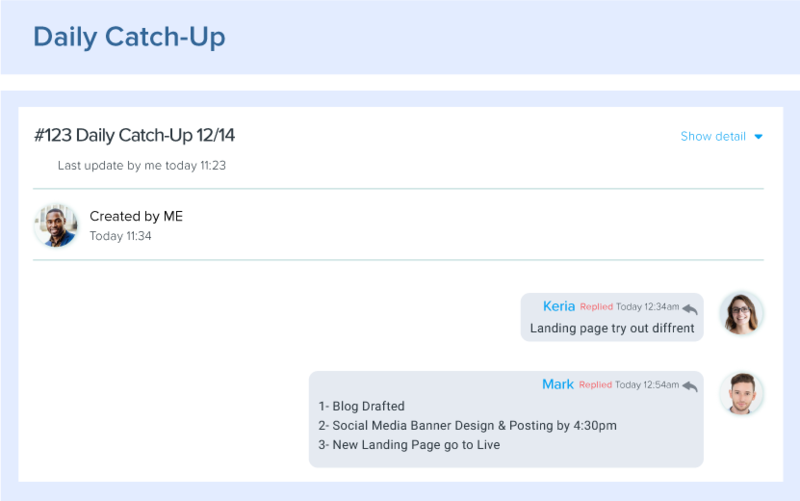 No more micromanagement! No multiple emails! Get daily progress update with absolute clearity on tasks and plan your actions for the next day without agitating your team members. 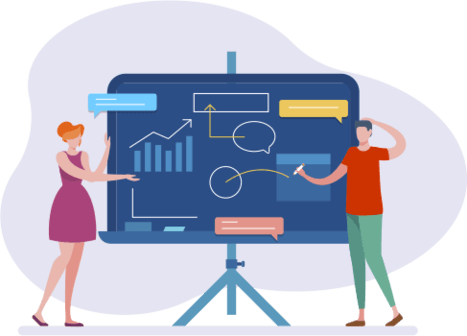 Your team gets an reminder on your specified day and time to report their progress ensuring deliverability and accountability for all.